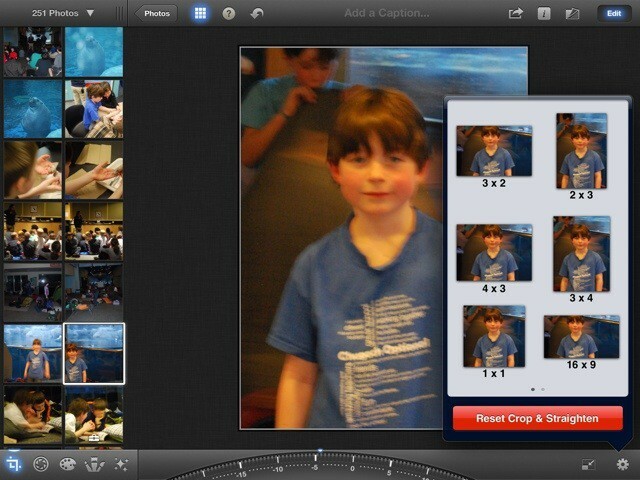 iPhoto for iPad is a fantastic photo editing app with a ton of multitouch gesture support. When editing and looking through your photos within the app on your iPad, all it takes is a bit of learning to get these gestures down and make your time with iPhoto just that much more productive and fun. If you take a photo in a forest but do not share it with others, does it really exist? Well, yeah, it probably does, but you know what I’m talking about. Sharing photos is really the point, right? Why else take them? 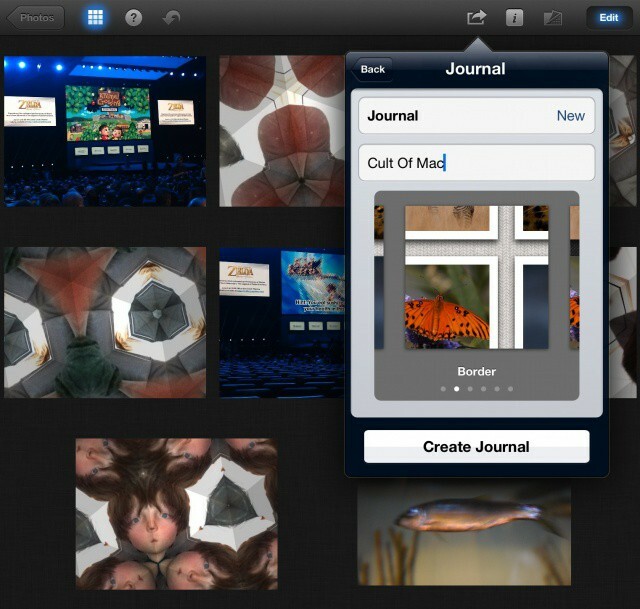 iPhoto for iPad has several ways to share your photos across social networks, to other iOS devices, and even right on the iPad itself. Let’s run through a few of them, yeah? Red eye happens, folks. Caused by the reflection of a camera flash in our eye’s retina, it can be reduced by special flashes, but not always completely eradicated, especially in dark environments. Blemishes are a whole different matter, but they do seem to happen more often just before we take a picture of ourselves or loved ones. 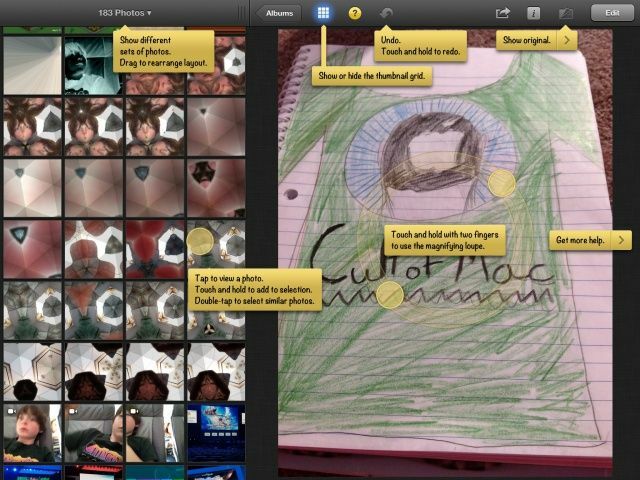 Luckily, both of these issues can be fixed after a photo has been taken, and rather easily using iPhoto for iPad. While the built in Photos app can do some basic things like rotating photos or sorting them into albums, chances are most of us have wished we could do a few more basic tweaks to our photos before we send them off to be printed or shared with friends and family. 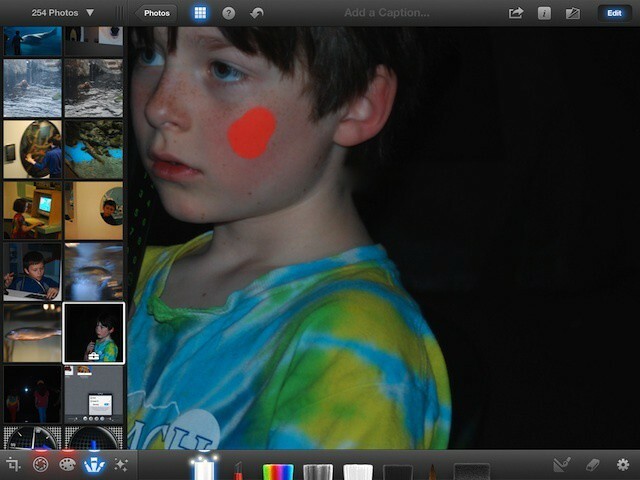 Now that it’s vacation time for a lot of families, we though it’d be great to run through some basic photo editing tips using Apple’s own iPhoto for the iPad, for easy yet powerful editing on the go.